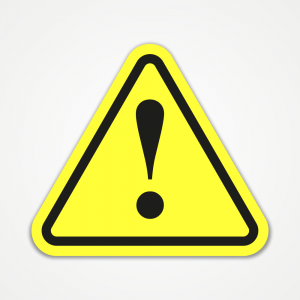 Please do not use any site claiming to have an e-book version of An Extraordinary Life: Josephine E. Jones. It does not exist. Arriving in New York from South Carolina in 1946 to work as a cook in private homes, Josephine E. Jones becomes a Harlem activist and, in the 1960s, the first black supervisor at a Fortune 500 company. An Extraordinary Life: Josephine E. Jones is an American story, a Great Migration story, a New York story, a black family’s story, a mother-daughter story, and the story of a woman’s fight for creativity in the workplace. A native of the South, a descendant of slaves, and the daughter of sharecroppers, Mrs. Jones ventured North, to New York and Harlem, to find her chance. The tale of her tenacious advance, transforming what to others might seem to be insurmountable obstacles and burdens, into opportunities to shine—the stuff of alchemy, might in less able hands, seem apocryphal. But Wendy Jones, like her role-model-mother, keeps things real. The saga she spins out is so inspirational, because in relating the highly specific history of a highly individual figure, she has made her mother’s quest: to enhance her community, to enlighten her people, to educate and arm–with truth and an appreciation of beauty–her only child, into a universal story. If her mother was an alchemist, turning dross into life’s gold, with this memoir written with her mom, Wendy Jones, can be considered like Mary Shelley’s Doctor Frankenstein – she makes mere dead words on a page live, to recreate in the form of a woman of African descent, born poor but curious, an all-American hero. Michael Henry Adams – author of Harlem, Lost and Found: An Architectural and Social History, 1765-1915 and currently working on the forthcoming Homo Harlem: A Chronicle of Lesbian and Gay Life in the African American Cultural Capital, 1915-1995. 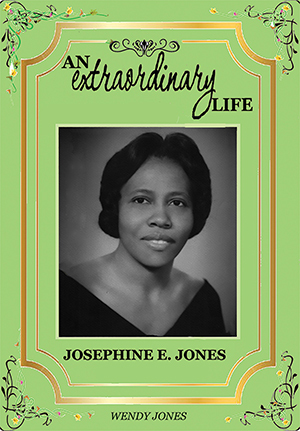 An Extraordinary Life: Josephine E. Jones is an empowering book that lifts the level of every reader’s thought pattern. Most admirable, is her love for young people and her drive to help them find ways to lift themselves above the stereotypes embedded in a system that always seems bent on keeping them down. She stands up to authority and fights for principle and fairness at a time in America’s history when doing so was not without great risk. This book forces us to accept the fact that we have no excuse for inaction. Gretna Wilkinson – Geraldine R. Dodge Poet, and founder of theravensperch.com, an international literary magazine. An Extraordinary Life: Josephine E. Jones is a unique love story, that of a daughter for her mother. Wendy Jones celebrates Josephine E. Jones, the shaping of one woman’s life. The saga has a changing America, and specifically the Civil Rights Movement, as the background for An Extraordinary Life. While this is the story of one woman who migrated from the South to New York, it resonates because the path traveled by Ms. Jones is the story of black America in the twentieth century. David Rothenberg – founder of the Fortune Society, a leading criminal justice advocacy and service organization, and author of Fortune in My Eyes. The Biography Shelf An Extraordinary Life: Josephine E. Jones Wendy Jones Ida Bell Publishing, LLC www.idabellpublishing.com 9781946348029 $19.00 An Extraordinary Life: Josephine E. Jones is the biography of Josephine E. Jones, a twentieth-century black woman and the daughter of sharecroppers, who dedicated herself to hard work and single motherhood (the man she married turned out to have a weak work ethic, and she quickly divorced him for it). In the course of her life, she rose from domestic cook to temp work to becoming the first black woman in management of a Fortune 500 company. She was also a Harlem activist, and worked multiple jobs to ensure that her daughter would have the best education and the best life possible. Penned by Josephine’s daughter, Wendy Jones, An Extraordinary Life is also a testament to the bonds that connect mother and daughter, as well as to human courage and motivation. Highly recommended. B. Cox, managing editor, The Midwest Book Review I’ve just finished reading the book (I started it yesterday) and I want to congratulate you. I was interested, moved, remembered conversations with you or/and your mother, and heard both your voices. I think it’s a great idea to have added the contextualizing elements (some of which I might well use in class as well as snippets of the recollections). In short, congratulations! Claire Parfait I was very pleasantly surprised when I read Wendy’s book. It has depth and was extremely well written. I found it to be easy reading and I am not usually a non-fiction book reader. The subject matter held my attention throughout the book and the pictures that were included inside the book were simply an added bonus. I am confident that anyone who takes the time to read this book regardless of whether they are 8 or 80 years old will find the subject matter intriguing and the book will certainly hold their attention. It is a great book explaining the history of a woman’s life. The only bad thing was that it ended too soon as I wanted to keep on reading. Anxiously hoping for a second book by this author. Mark Pollachek “It has been a while since I have read a book that captured my full attention. At times I felt enraged by the continued discrimination and heartlessness that others showed her. For me, Josephine E. Jones is not only a person to look up to, but a “Power Woman.” Thank you, Wendy for sharing the history of such an incredible and invincible person.” Barbara R.